Born and raised in Belgium, Lennart started trying out free web solutions during his first teenager years and by doing so, created his own webpages. You might remember MSN groups? Well, let's skip that part. While exploring how the world wide web was working, he was drawing stick figure cartoons - a popular phenomenon on the web those days - on paper during the boring hours at school until the question popped: "how can these drawings be animated?". The answer, of course, was Flash. Back then a piece of software provided by Macromedia. No sooner said than done, his first Flash movie productions were born. It sounds heavier than it was. It was crap. His first ever Flash animation is still out there somewhere on an old computer. Maybe it'll get uploaded sometime, if Flash is still supported. Guess not. A couple of his later creations got preserved on one if his favourite flash websites of that time: newgrounds.com. Feel free to take a look - and have a laugh - at the stuff he uploaded on his account. Later on (we're still in his middle teenage years, around the year 2003), he started focussing on websites and building them using the skills he had: Flash and some poor HTML. You guessed that right: motional, poppy, flickering, flashy Flash websites were being created. One of them in the year 2004: his own first real webpage called www.lenn-studios.com. It can still be viewed thanks to the preservation by the Internet Archive. 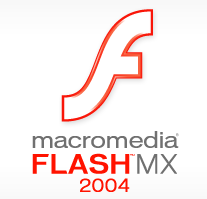 Under this name, flash animations, games and websites were created. Don't mind visiting the current website, the domain name is in use by some Asian guys. The unregistered 'company' name LennStudios and its domain name existed until approximately 2014. It's 2007. After secundary school, at which he studied Languages and Economics, Lennart went studying Information and Communication Technology during college in the city of Ghent. At this point he gained the needed skills to move to the next level of web development. Flash fell behind and friends, parties and beer took its place. Oh yes, and PHP programming of course. A path to the working world was being cleared, graduating in the year 2010. Figuring that building websites was still his greatest passion, he went looking for such a job during summer break. Lennart started off working at an international loyalty marketing company called Boost, located in the Netherlands. This is the place were he acquired his first Drupal skills. He was officially working in the www industries. Get ready for some Drupal technicalities. From his first hooks and first modules to his first Drupal community contributions, Lennart moved from a developer position to leading the (small) development team at Boost. Until 4 years later, when it was time to go to a company focussing more on Drupal, back in Belgium. We are in the year 2014 and this is the moment the website lenn-studios.com, which was Lennart's online playground for many years, made place for vaerenbergh.com. Also the name of his small yet official secondary occupation. Basically the website you are on right now. The main purpose this website was started, was and still is to collect problems and solutions encountered during web development, in the form of a blog. He started working at a Belgian Drupal start-up company called Dropsolid in Ghent as a developer, coach and consultant. Up until now, he's still doing consultancy work as a Drupal developer.